This guy is a huge Britney Spears fan and when he found out she was coming to town he camped out in the lobby of her hotel hoping that he could get a picture with her. 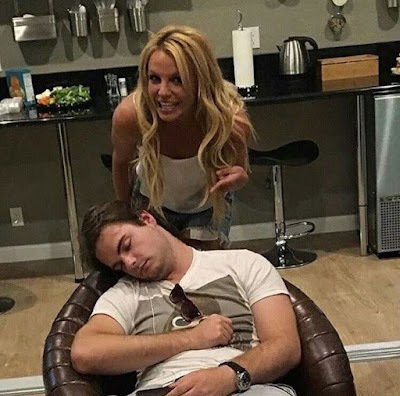 Britney heard about the fan but when she went to meet him she found that he was sleeping. She still managed to take a picture with him even though he was fast asleep.